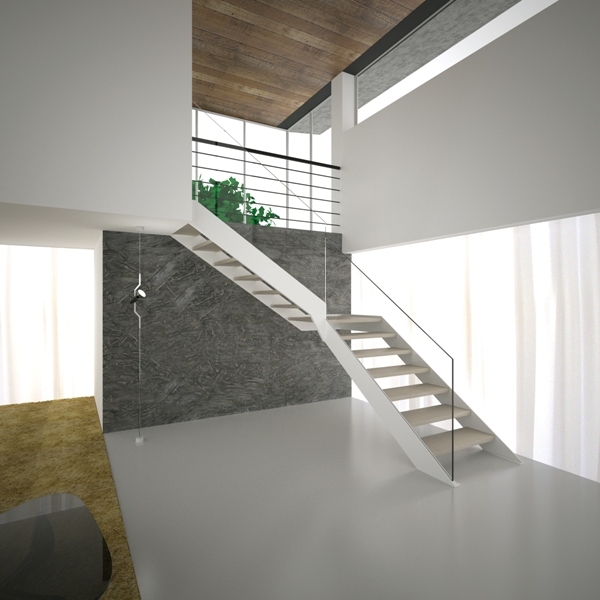 Iron and glass stair with open riser. Semi-gloss glazed structure, RAL 9016 finish, total white. 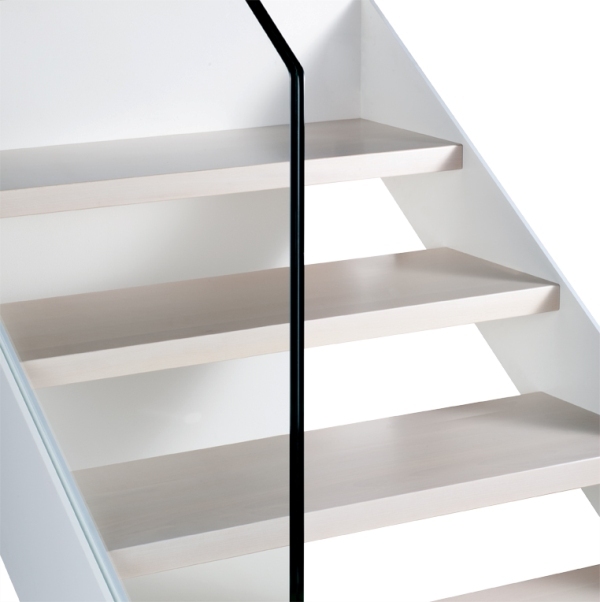 Cut beech solid wood tread, ivory finish. 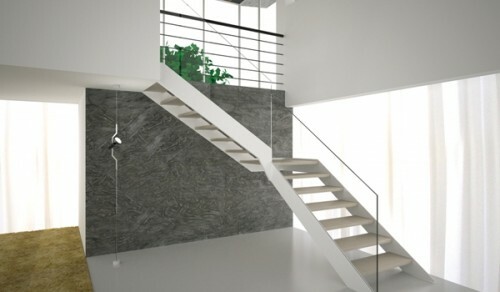 CRYSTAL SYSTEM banister: stair with load-bearing stair paired on the side of the banister, layered tempered glass with 8+8-mm. 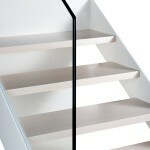 thickness, transparent extra light finish, no handrail or spindles provided.